This dish was so much fun. The garlic assault also felt strangely appropriate as a Halloween meal this year. This dish is awesome, because not only do you get juicy, fall-off-the-bone chicken, you also get a jar’s worth of garlic oil. Yum! So, get your chicken parts, put them in plastic bag. Season with salt and pepper, and then toss with olive oil. Make sure you keep the bag shut, or you know, chicken juice and olive oil will fly! Heat a pan over medium heat. You want to get a deep pan that can also withstand that heat of the oven for some time. That reminds me! Preheat your oven to 350 (F). 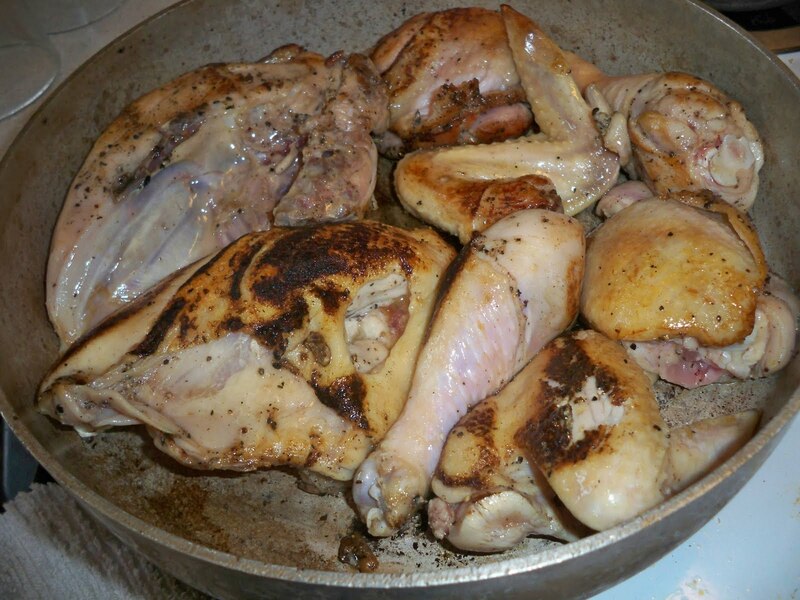 Sear all the chicken pieces, and then remove from the heat. 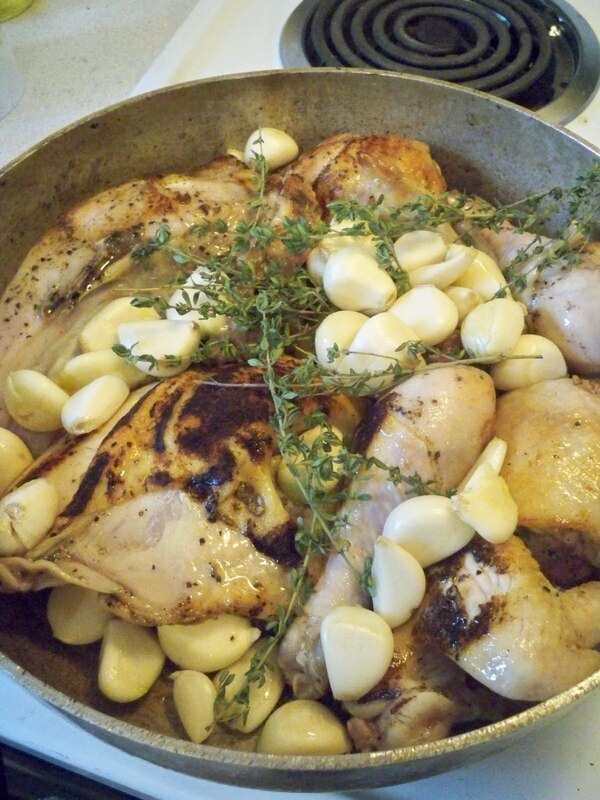 Add the 1/2 Cup of Olive Oil, garlic cloves, and sprigs of thyme. Covering and slide the pan into the oven to cook for 1 1/2 hours. Once the time is up, remove and let sit for 10 minutes. Preserve that excellent oil by canning or bottling it. 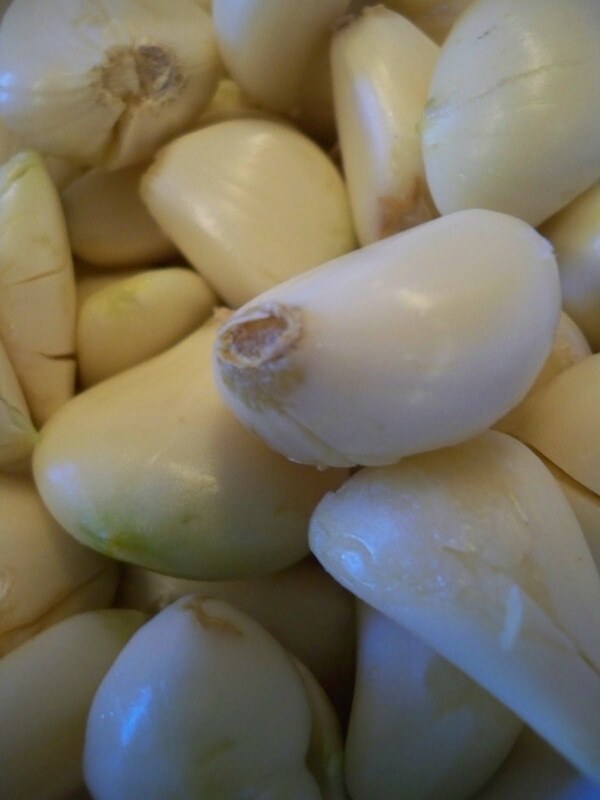 Another tip I have is to use the bigger pieces of garlic when picking your 40 cloves from the bulb. The smaller cloves are much more potent than the big ones, which provide a subtler flavor. 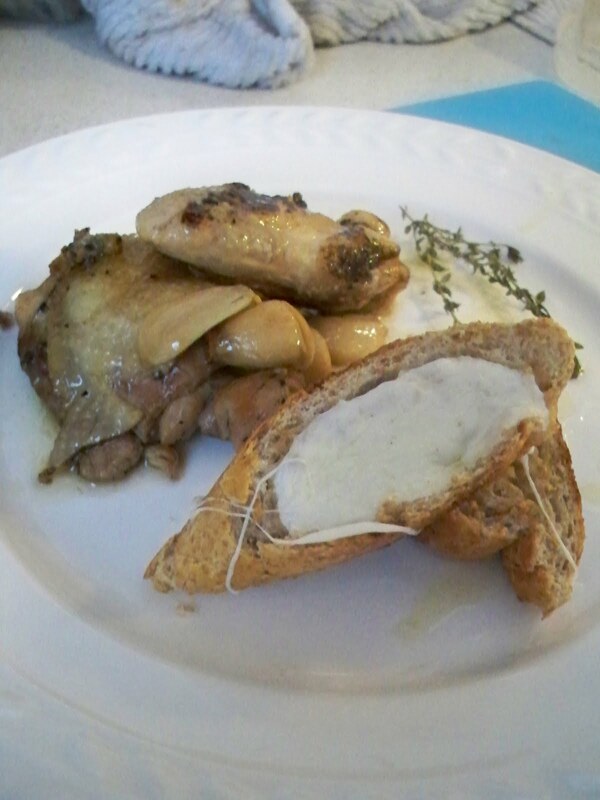 The garlic, at this point, is so soft and tender that you can literally spread it like butter on a piece of bread. You can also brush pieces of bread with the oil and bake at 350(F) for 10-15 minutes, or until the tops are golden brown. I also topped a few pieces with fresh mozzarella cheese – very yummy! Still working through Dead Space, which should have a review up some time this week. Have a good one!